Trained as a physiologist, Michel Rochon been a television journalist and broadcaster for more that 30 years. He currently works for Radio-Canada both for Découverte, a weekly television science magazine, the Téléjournal, the daily national news and Enquête, an investigative reporting program. His principal interests are in public health, environment, space, neurosciences and new technologies. He also worked as a consultant in the fields of environment and communication. Past president of the Quebec Association of Science Journalist, he has won numerous national and international awards in journalism. He also give lectures and courses in science journalism for university students and journalists. 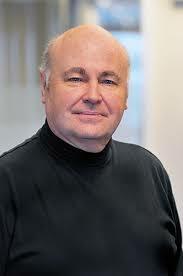 Michel Rochon is also a frequent moderator of health or science forums and summits. Patrick has over ten years of experience interpreting federal regulatory requirements for emerging biotech products, including cell and gene therapies. In August, 2016, he moved to Toronto to join CCRM as Manager, Clinical Translation & Regulatory Affairs, where he helps regenerative medicine researchers and developers navigate regulatory pathways and progress to the clinic. Prior to CCRM, Patrick worked for the Biologics and Genetic Therapies Directorate (BGTD) at Health Canada, where he helped to develop a Guidance for Sponsors: Information and Submission Guidance for Subsequent Entry Biologics (SEBs or “biosimilars”); led a project to revise the Guidance Document for Cell, Tissue and Organ Establishments - Safety of Human Cells, Tissues and Organs for Transplantation; and led the development of the Guidance Document: Preparation of Clinical Trial Applications for use of Cell Therapy Products in Humans. Patrick also worked on international regulatory harmonization initiatives and chaired and represented BGTD on classification committees. Patrick completed an Honours Bachelor of Health Sciences degree at the University of Western Ontario, a Master’s degree in Bioethics and Health Law at the University of Otago, and obtained a Regulatory Affairs Certificate from the Regulatory Affairs Professional Society. Dr. John Bell received his PhD from McMaster University in 1982. The three years that followed, he trained as a post-doctoral fellow at the University of Ottawa and then at the Medical Research Council in London, England. Dr. Bell began his independent research career at McGill University in 1986 and moved to the University of Ottawa, Department of Medicine, in 1989. He is a member of the Center for Cancer Therapeutics at The Ottawa Hospital Cancer Center, a Senior Scientist with the Ottawa Hospital Research Institute and Professor of Medicine at the University of Ottawa. He heads the Canadian Oncolytic Virus Consortium, a Terry Fox funded group from across Canada that is developing virus based cancer therapeutics and is the Director of the Biotherapeutics Program for the Ontario Institute for Cancer Research. He is the Scientific Director of the recently awarded National Centre of Excellence for the development of Biotherapeutics for Cancer Therapy and is a fellow of the Royal Society of Canada. Dominic Bowers is Head of Clinical at the Cell and Gene Therapy Catapult. He is responsible for oversight and delivery of a range of clinical programs within oncology, critical care and surgical specialities that encompass different technologies within the regenerative medicine field. He additionally provides clinical development expertise with clinical trial strategic planning and design implementation across a broad range of indications. Dominic previously worked as an Anaesthetist and Critical Care Physician at a senior level, most recently as a clinical fellow in General Anaesthesia whilst performing clinical development activities. A core part of his career has been devoted to the design and execution of clinical trials at Quintiles within a range of Internal Medicine specialities including Inflammatory Bowel Disease and Acute Care and Pain specialities. He has held posts as a Medical Director and Chair of the Acute Care and Pain Centre of Excellence at Quintiles. Dominic’s experience includes early phase work through to registration trial experience with small molecules, biologics, gene modified therapies and tissue engineered surgical trials. Dr. Paul Bowles is a Development Scientist for GE Healthcare in their Cell Therapy Division. Paul completed his PhD in Leeds Institute of Molecular Medicine (University of Leeds) in the laboratories of Professor Eric Blair and Dr. Graham Cook, studying the Natural Killer Cells recognition of virally transformed and cancerous cells. After finishing his PhD, he spent three years working at GE Healthcare Cardiff UK, in their Cell Therapy division working developing new products for adoptive immunotherapies. Last year he moved to the new collaboration between GE Healthcare and CCRM which aim is to accelerate development and accessibility of cell manufacturing technologies. Jonathan Bramson, PhD, is a Professor in the Department of Pathology and Molecular Medicine and the Assistant Dean, Research Infrastructure of the Faculty of Health Sciences. He holds a Tier I Canada Research Chair in Translational Cancer Immunology and the John Bienestock Chair in Molecular Medicine. The Bramson lab is focused on developing methods to direct cancer patients’ immune systems to attack their tumors. Most recently, the lab developed a novel chimeric receptor platform to re-direct T cells to attack tumors, which will be the topic of his seminar. The Bramson lab works closely with clinical partners at the Juravinski Hospital and colleagues across Canada to optimally develop these novel strategies to address unmet needs within the cancer community in Southern Ontario. Together, Bramson and his colleagues have established an infrastructure within Ontario, which includes GMP production and GLP correlative assays, for conducting clinical trials of novel cancer immunotherapies that is unparalleled in Canada. Bramson is also the inaugural director of the Fraunhofer Project Centre for Biomedical Engineering and Advanced Manufacturing at McMaster University (BEAM), which is an international joint venture with the Fraunhofer Society of Germany. Situated in Hamilton, BEAM is focused on commercialization of promising technologies in the areas of cell therapies, diagnostics and biomaterials. Mr. William Brock is a partner in the Litigation practice at Davies Ward Phillips & Vineberg LLP. In September 2004, he was diagnosed with acute myeloid leukemia, seven years after his father’s death from the same diagnosis. Mr. Brock survived thanks to the skill and care of the doctors and nurses at Maisonneuve-Rosemont Hospital in Montreal and a bone marrow transplant from his brother. After his recovery, he helped establish The Fund for Education and Research into Blood Cancers. In the spring of 2010 he cycled across Europe to celebrate the five-year anniversary of his transplant and to raise money for the Fund. He has produced the book Portraits of Hope to support the Fund and to give hope to those suffering from blood cancers. In March 2015, he launched the Maryse and William Brock Chair in Applied Research into Stem Cell Transplants. Dr Bubela (BSc (Hons), PhD, JD) is Professor in the School of Public Health and Adjunct Professor in the Alberta School of Business at the University of Alberta, Canada. She joined the faculty of the U Alberta in 2004 after clerking for The Honourable Louise Arbour at the Supreme Court of Canada, articling at Field Law LLP in Edmonton, and being called to the bar (Law Society of Alberta) in 2005. Her research program in intellectual property and health law related to translational biomedical research brings together her legal training and a PhD in biology and expertise in genetics and molecular biology. Her research program focuses on large collaborative science networks in genomics, gene therapy, and stem cell biology, addressing barriers to the effective translation of new technologies and the introduction of precision medicine. These are varied and include ethical issues, effective communication of risks and benefits among stakeholder groups, commercialization and regulation. She provides advice for Government Health and Science agencies as well as life sciences research communities, and patient organisations. Her research is funded by the Canadian Institutes of Health Research, the Canadian Stem Cell Network, BioCanRx, Genome Canada, and Alberta Innovates - Health Solutions, among others. She co-leads the PACEOMICS program on the development of cost-effective personalized medicine and the Alberta Ocular Gene Therapy Team, which is developing novel gene therapies and conducting a phase I clinical trial of the NighstaRx AAV2-REP1 product for choroideremia. She has nearly 100 publications in law, ethics and science policy journals including Nature, Nature Biotechnology, Cell Stem Cell, PLoS Biology, Trends in Biotechnology, American Journal of Bioethics and Science Translational Medicine. Dr Busque is a practicing hematologist at Hôpital Maisonneuve-Rosemont (HMR), and serves as Chief of Molecular diagnostic and Chief of HMR's Diagnostic Program of Medical biology being altogether responsible for 300 employees and managing a budget of 30 Million$/year. He sits on several Quebec government regulatory committees such as the Institut National d'Excellence en Santé et Services Sociaux (INESSS). He is the co-founder of the Quebec CML Registry and a founder and current president of the non-for-profit organization GQR-LCM/NMP (Groupe québécois de recherche en leucémie myéloide chronique et en néoplasies myéloprolifératives) where he successfully built a network comprising 20 oncology centers in the province of Quebec. Dr. Busque is a sought after as a key opinion leader (KOL), and his advice and expertise are critical to numerous pharmaceutical companies. Dr Busque has over 20 years of biotechnology and clinical research experience. He founded and was the medical director at ProDNA diagnostics, a molecular diagnostics provider, which was later sold to Warnex (now known as Dynacare). He founded and was the President of HemaX Genome, a company focused on the identification of genes of medical interest localized on the X chromosome. HemaX genome was later acquired by Emerillon Therapeutics Inc. During these tenures, Dr Busque acquired experience in raising venture capital funds and in developing international collaborations. Dr. Lambert Busque obtained his Medical Degree from the Université de Montréal in 1986 and completed residencies in internal medicine and hematology before completing a post-doctoral fellowship at Harvard in molecular hematology. He has since continued on as an accomplished clinician-researcher and with a specific interest in translational hematology. He has published in prestigious journals such as the New England Journal of Medicine, Nature Genetics, Blood and the Journal of Clinical Investigation. He is Professor of Medicine at the Université de Montréal. Joanne Castonguay is research director of the IRPP’s Canadian Economy and Emerging Issues research program. As an economist, she has long been interested in public policy. Before joining the Institute, she was associate vice-president at the Centre interuniversitaire de recherche en analyse des organisations, research director with the Québec Medical Association, adviser at the Fonds de recherche du Québec – Santé, and project director at SECOR Conseil. Her fields of expertise include the governance of large projects, research orientation, the transfer of innovation, and governance mechanisms of health and socio-political risk management. She has published many articles and reports popularizing these topics, sits on expert panels, and regularly presents at conferences. Over the past decade, several of her publications have contributed to the development of Quebec legislation; for example, the series of reports on the governance of large public infrastructure projects, and the report Analyse comparative des mécanismes de financement des hôpitaux. Over the past few years, she has focused on policies promoting the integration of innovation. Michèle de Guise has been the Director of health services and technology evaluation for the Institut national d’excellence en santé et services sociaux (INESSS) since July 2015. She graduated from the University of Montreal as a cardiologist and then continued training as a fellow in cardiac rehabilitation, echocardiography and mechanical circulatory support and heart transplantation successively in Montreal, London, Philadelphia and at the Cleveland Clinic. As a clinician, she proposed and implemented a heart failure clinic and rehabilitation program for high risk patients at the Centre hospitalier de l’Université de Montréal (CHUM). After completing a Masters degree in Management at McGill University (International Master in Health Leadership), she held the following consecutive positions at the Centre hospitalier de l’Université de Montréal (CHUM): Director of Health Promotion, Director of Quality, Health Promotion and Patient Experience and finally Assistant Chief Medical Officer for Quality and Practice Improvement. Tyson Garbe is the Assistant Director of Trade & Investment at JETRO Toronto and is responsible for investment to Japan activities in the manufacturing and healthcare sectors. With over 18 year experience working on Japan trade and investment issues, Tyson has looked after projects related to automotive, aerospace, biotech, cleantech, ICT, nanotech and a variety of other sectors. Other duties include assisting Japanese companies to find export opportunities in the Canadian market, facilitating regional partnership programmes between Canada and Japan, liaising with other government organizations and media relations activities. Born in Montreal, Tyson was raised in London, England where he stayed until completing his MA in International Studies. He then spent five years working in Japan before returning to Canada. Recently, JETRO has paid particular attention to the field of Regenerative Medicine since the Japanese government’s introduction of an expedited approval system for RM products as well as other reforms related to the supply of stem cells in Japan. JETRO is eager to support foreign companies looking to enter the Japanese market. Dr. Adrian Gee received his bachelor's degree from the University of Birmingham, England, and his Ph.D. from the University of Edinburgh, Scotland. He did his postdoctoral training at the National Institutes of Health, and the University of Toronto, before taking a faculty position at the University of Florida. There he performed some of the first applications of immunomagnetic tumor purging in the United States, and his laboratory became a central cell processing facility for this procedure. He joined Baxter Healthcare in 1987, where he worked on the development of the MaxSep and Isolex magnetic cell separators. He co-founded the International Society for Hematotherapy and Graft Engineering (ISHAGE, now ISCT), and the Journal of Hematotherapy (now Cytotherapy) in 1992. From 1992 to 1997 he helped establish the stem cell transplantation program at the University of South Carolina. He then directed the Cell Processing Laboratory at the University of Texas MD Anderson Cancer Center until 1999, when he joined the Center for Cell and Gene Therapy (CAGT) at Baylor College of Medicine in Houston. The CAGT houses GMP manufacturing facilities for vectors and cell therapy products. He was involved in the development of standards for the collection processing and transplantation of hematopoietic stem cells for the Foundation for the Accreditation of Cell Therapy (FACT), the AABB and the National Marrow Donor Program. He has written more than 180 scientific articles and has authored and edited a number of books on graft engineering and stem cell processing. He currently is a member of the HRSA committee on Blood Stem Cell Transplants, the FACT committee on Regenerative Medicine and the Program Review Group for the California Institute of Regenerative Medicine. David Guay is the Research Director at Feldan Therapeutics since 2009. David Guay received his PhD in molecular and cell biology from Laval University for its research on the implication of a transcription factor in DNA repair and chemotherapy resistance mechanisms. He held a postdoctoral fellowship from McGill University in the chemical engineering where he developed a DNA delivery technique based on a non-thermal plasma technology. His research at Feldan Therapeutics focuses on the “Feldan Shuttle”, a peptide-based technology designed to deliver native proteins, namely transcription factors, antibodies and CRISPR nucleases, in therapeutic cells. Philippe HENON, MD, Hematologist, graduated from the School of Medicine, Paris, France, in 1968. Assistant Professor of Hematology/Assistant Director of the Department of Hematology, Paris VII University and Hôpital Lariboisière, Paris (1970-1978). Head of the Department of Hematology in Mulhouse Hospitals, France (1979). Founder/Director since 1987 of the “Institut de Recherche en Hématologie et Transplantation”, Mulhouse. Professor and Director of the Educational Program on Hematopoiesis and Cell Therapy at the University of Haute-Alsace, Mulhouse (2000-2010). Visiting Professor of Cell Therapy at the University of Lincoln, UK (2003-2007) and at the New York Medical College, USA (2006-2010). Founder, President and CSO of CellProthera, Med-tech company launched in June 2009. Through her extensive business leadership and management experience in the biomedical/pharmaceutical industry in both private and public companies, Queenie has led ISCT’s emergence as the leading global cell therapy society focussed in regulatory, commercial and academic thought leadership. 2017 celebrates the 25th Anniversary of ISCT through the Annual Meeting in London, UK. Attracting over 1500 international delegates representing over 50 countries, the ISCT Annual Meeting is a hallmark of the state of the art translational science and global business development for the host city and region. Ms. Jang holds a B.Sc. (Pharmacy) from the University of British Columbia and an MBA from Richard Ivey School of Business at the University of Western Ontario. Dr Armand Keating is Director of the Cell Therapy Program at the University Health Network in Toronto. He obtained his MD degree from the University of Ottawa, completed internal medicine and hematology training at the University of Toronto and a research fellowship at the University of Washington and the Fred Hutchinson Cancer Research Center in Seattle, Washington. Dr Keating's clinical and research interests focus on anti-cancer cell therapy, blood and marrow transplantation, leukemia, lymphoma and regenerative medicine. In 1986, he established the University of Toronto Autologous Blood and Marrow Transplant Program. Dr Keating has served on and chaired many research review panels, including for the US National Cancer Institute, the National Cancer Institute of Canada and the Leukemia and Lymphoma Society. Dr Keating is on the editorial board of numerous scholarly journals. He is a founding member of CellCAN and Chair of CellCAN's Steering Committee. Bartha Maria Knoppers, PhD (Comparative Medical Law), is Full Professor and Director of the Centre of Genomics and Policy, Faculty of Medicine, Human Genetics, McGill University. She also holds the Canada Research Chair in Law and Medicine (Tier 1, since 2001). She is the founder of the Population Project in Genomics (P3G) and CARTaGENE Quebec’s population biobank. Chair of the Ethics Working Party of the International Stem Cell Forum (2005- ); Co-Chair of the Sampling/ELSI Committee of the 1000 Genomes Project (2007-2014); Scientific Steering Committee Member of the International Cancer Genome Consortium (2009- ); Co-Chair, Regulatory and Ethics Working Group and Member, Steering Committee of the Global Alliance for Genomics and Health. She holds four Doctorates Honoris Causa and she is Fellow of many organisations such as the American Association for the Advancement of Science (AAAS), the Hastings Center (bioethics), the Canadian Academy Health Sciences (ACSS) and, most recently in November 2016, she was named Fellow of the Royal Society of Canada, Academy of Social Sciences. She is also an Officer of the Order of Canada and of Quebec. In 2015, she received the Medal Paul-André Crépeau for her work in comparative medical law (The Canadian Bar Association). She was named “Great Montrealer” (Scientific Sector) by the Board of Trade of Metropolitan Montreal in 2014 as well as « Champion de la génétique 2013 » by the Gene Cure Foundation in 2013. Also noteworthy, she received the “Prix Montréal In Vivo: Secteur des sciences de la vie et des technologies de la santé” in 2012. Dr. Kolas is a senior policy analyst and former research scientist with expertise in reproductive biology and the DNA damage response, as it pertains to early mechanisms of cancer development, using mouse models and cell-based genomics approaches. She received her PhD in molecular genetics from Albert Einstein College of Medicine in New York City, and conducted post-doctoral work at the Lunenfeld-Tanenbaum Research Institute in Toronto where she discovered novel post-translational modifications that modulate DNA repair. Her work has been published in journals including Science and Cell, she has held fellowships from CIHR and the Terry Fox Research Institute, and won the 2008 Polanyi Award for medicine/physiology from the Ontario government. Shifting her focus from research to knowledge translation, she turned down an offer to start her own lab in favour of policy with Health Canada and has been the senior policy analyst for advanced cell therapies in Health Canada’s Health Products and Foods Branch since the beginning of January 2017. Prior to joining the Branch she worked with an expert panel, led by Dr. David Naylor, to review the federal ecosystem supporting fundamental research in Canada; and developed policy for knowledge translation and research governance for management of Health Canada’s regulatory research programs including chemicals, nanomaterials, Northern contaminants and air pollution. Dr. Geoffrey Lomax is the Senior Officer for CIRM’s Strategic Infrastructure Program. The CIRM Infrastructure Program develops strategic assets to accelerated the delivery of therapies to patients with unmet medical needs. In this role, Dr. Lomax coordinates the implementation of the CIRM Alpha Clinics Network and CIRM Stem Cell Center. The Alpha Clinics are top California medical centers that deliver high-quality stem cell clinical trials. The Stem Cell Center is a CRO based in California with a dedicated focus on cell therapies. The Center provides strategic planning, regulatory, clinical operations and data management services to clinical trial sponsors. Dr. Lomax also facilitates the development of CIRM’s Medical and Ethical Standards. Michael May is President and Chief Executive Officer of the Centre for Commercialization of Regenerative Medicine (CCRM), a Canadian, not-for-profit that develops technologies and launches new companies by supporting both academic and industry activities in the field of regenerative medicine, including cell and gene therapy. With a staff of 50, a network of academic members, 50+ industry partners, dedicated funding and facilities to develop technologies, manufacture cell product and incubate companies, CCRM is generating health and economic benefits for its stakeholders. Prior to CCRM, Michael was the President, and co-founder, of Rimon Therapeutics Ltd., a Toronto-based regenerative medicine company developing novel medical polymers that possess drug-like activity. Michael sits on a number of boards and advisory committees including: MaRS Innovation; the Ontario Institute of Regenerative Medicine (OIRM); the Centre for the Commercialization of Antibodies and Biologics (CCAB); The Centre for Phenogenomics (TCP); the Department of Chemical Engineering and Applied Chemistry at the University of Toronto; the Industry Committee of the International Society for Stem Cell Research (ISSCR); the Executive Committee, Alliance for Regenerative Medicine (ARM); ExCellThera Ltd.; the Rick Hansen Institute Commercialization Program Advisory Committee; Toronto Region Board of Trade Life Sciences Steering Committee; the NSERC CREATE M3 Program Committee; and the Cell and Gene Therapy Insights, Editorial Advisory Board. She was diagnosed with Relapsing Remitting Multiple Sclerosis at the age of 21 in 1996. After multiple failed therapies, she took part in a clinical trial at the Ottawa Hospital funded by the MS Society Scientific Research Foundation involving stem cells at the age of 27. The trial was a stem cell bone marrow transplant to treat Early Aggressive MS as an auto immune disease. As of 2006, she has actively been involved with the Stem Cell Network on the Research Management Committee as a Patient Advocate, as well as, with the Canadian Stem Cell Foundation since their inception in 2009, as their first volunteer. She is currently employed at the Ottawa Hospital since 2008 as a Research Assistant at the Ages Cancer Assessment Clinic. She has a passion for stem cell research and speaking to the public about her experience being involved in a clinical trial. Dr. Piret is a Professor in the Department of Chemical & Biological Engineering and the Michael Smith Laboratories at the University of British Columbia. He has an Applied Mathematics to Biochemistry Bachelor’s degree from Harvard and a Chemical Engineering doctoral degree from MIT. At UBC since 1989 his research focus has been on the R&D of innovative process and device technology for mammalian cell culture therapeutic protein or cell production. His multi-disciplinary research ranges from bioreactor engineering to molecular biology, often including collaborative work with scientists and industry. Dr. Piret was the founding Bioengineering leader of the Canadian Stem Cell Network as well as CellCAN. James Price is the President & CEO of the Canadian Stem Cell Foundation and has been active in advancing stem cell research and development for more than a decade. James was the Founding President of Aggregate Therapeutics Inc. — a development-stage regenerative medicine company — and was previously a Director of the Stem Cell Network. 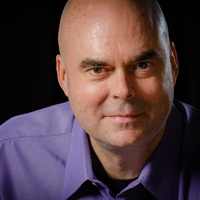 Prior to working in the stem cell field, James was a Principal in the Corporate Strategy practice of PricewaterhouseCoopers where he was involved in several projects in new company creation, technology commercialization and research and development, including the business case for the creation of the Canadian Institutes of Health Research, the strategic research plan for the University Health Network, and assisting the Rick Hansen Institute to establish the Rick Hansen Spinal Cord Injury Network. A graduate of Northwestern University in Evanston Illinois, Dr. Ritz received his MD from Chicago Medical School followed by residency training in Internal Medicine at the University of Wisconsin Hospitals. Dr. Ritz subsequently completed a clinical fellowship in Hematology and Oncology at Boston’s Beth Israel Hospital and a research fellowship in Tumor Immunology at the Dana-Farber Cancer Institute. He is currently Professor of Medicine at the Dana-Farber Cancer Institute, Brigham and Women’s Hospital and Harvard Medical School. Dr. Ritz’s major research interests have been in cancer immunology and stem cell transplantation. Studies in his laboratory have focused on immune reconstitution after hematopoietic stem cell transplantation. In this setting, donor immune cells play a critical role in the recognition and elimination of residual leukemia cells (graft versus leukemia – GVL) but immunologic targeting of normal recipient cells also leads to graft versus host disease (GVHD) and damage to normal tissues. His studies of immune reconstitution have demonstrated that donor B cells and regulatory T cells play important roles in the development of GVL and GVHD and the establishment of immune tolerance after stem cell transplantation. These observations have led to new strategies to selectively modulate immune reconstitution to improve patient outcomes after transplant. Dr. Ritz established the Connell-O'Reilly Cell Manipulation Core Facility (CMCF) at DFCI in 1997 and is currently its Executive Director. The CMCF is a core facility of the Dana-Farber/Harvard Cancer Center and supports the adult and pediatric stem cell transplant programs at DFCI, BWH and Boston Children’s Hospital. The CMCF is a GMP processing facility that provides manufactured cellular products of various types for patients enrolled on clinical trials evaluating novel cellular therapies for cancer and other diseases. These manufactured products include cellular vaccines, immune cells for adoptive cell therapy, CAR T cells and genetically modified stem cells. Dr. Rivière received her Ph.D. in Cellular and Molecular Biology from the University of Paris. She initiated her graduate studies at the Institut Curie in Paris and completed her thesis in the laboratory of Dr.Mulligan at the Whitehead Institute in Cambridge, MA. During this time, she developed novel retroviral vectors for in vivo long-term expression of transgenes in hematopoietic cells using MFG/SFG-based retroviral vectors that are widely used in clinical studies for the treatment of genetic and acquired disorders. She subsequently worked as a post-doctoral fellow in the laboratory of Dr. D. Littman at New York University, NY. Her studies focused on the regulation of cytokines produce by T helper lymphocytes in vivo. Dr. Rivière joined the faculty of Memorial Sloan-Kettering Cancer Center in 1999. She is currently the Director of the Michael G. Harris Cell Therapy and Cell Engineering Facility where she investigates the genetic modification of hematopoietic cells to increase or retarget the immune response against tumors. Her laboratory has developed cell manufacturing processes under GMP conditions for several Phase I/II clinical trials. She is involved in the development and implementation of new INDs and RAC/NIH applications for institutional Phase I and multicenter Phase II clinical trials. She is an active member of the American Association for Cancer Research (AACR), Alliance for Regenerative Medicine (ARM), American Society of Gene and Cell Therapy (ASGCT), International Society for Cellular Therapy (ISCT), International Society for Stem Cell Research (ISSCR) and National Institute for Innovation in Manufacturing Biopharmaceuticals (NIIMBL). Raelyn Rosa is currently working for Octane Biotech as a design engineer in support of the Cocoon™ product development. With a background in Electrical and Biomedical Engineering from McMaster University, she focuses in electrical design, as well as integration of electrical, mechanical and software systems for biotech applications. She has been working together with a team of experts in the engineering and biology fields to create a product that meets the growing requirements of cell manufacturing across autologous and matched allogenic markets. Octane proposes Cocoon™ as a solution to these challenges. Dr. Janet Rossant, SickKids Chief of Research Emeritus, and a world-renowned expert in developmental biology, began her term as the Gairdner Foundation’s President and Scientific Director in 2016. Firmly planted on the front lines of technological change, Dr. Rossant has established SickKids as a global forerunner in genetic research. Dr. Rossant trained at the Universities of Oxford and Cambridge, United Kingdom and has been in Canada since 1977, first at Brock University and then at the Samuel Lunenfeld Research Institute within Mount Sinai Hospital in Toronto, from 1985 to 2005. She joined SickKids in 2005. Widely known for her studies of the genes that control embryonic development in the mouse, Dr. Rossant has pioneered techniques for following cell fate and altering genes in embryos. This work continues to resonate in medical genetic research. Her current research focuses on stem cell development and cell differentiation in the developing embryo, important areas for the study of birth defects as well as regenerative medicine. 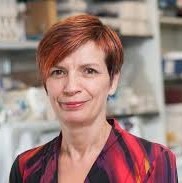 Dr. Rossant has been recognized for her contributions to science with many awards, including the Ross G. Harrison Medal (lifetime achievement award) from the International Society of Developmental Biologists, the Killam Prize for Health Sciences, the March of Dimes Prize in Developmental Biology, the Conklin Medal from the Society for Developmental Biology, and the CIHR Michael Smith Prize in Health Research. She is a Fellow of both the Royal Societies of London and Canada, and is a foreign Associate of the US National Academy of Science. Rossant was most recently recognized in October 2014 with the 10th ISTT Prize, from the International Society for Transgenic Technologies in Edinburgh, Scotland. Dr Denis Claude Roy is the Director of the Cellular Therapy Laboratory and the Scientific Director of the Centre de recherche Hôpital Maisonneuve-Rosemont, the Chief Executive Officer of CellCAN as well as a full professor at the Université de Montréal and an adjunct professor at McGill University. Dr Roy received his MD from the Université de Montréal and held a postdoctoral fellowship in tumor immunology at the Dana-Farber Cancer Institute at Harvard University. His research interests focus on the immunobiology of stem cell transplantation, and particularly on the treatment of stem cell grafts to eliminate risks of graft rejection and optimize their anti-cancer activity. He has published some 100 original articles and book chapters in prestigious journals and has trained more than fifty-five students, MSc, PhD and post-docs. He has also been on numerous scientific review panels. Dr. Jacques P. Tremblay received a PhD in Neuroscience from the University of California at San Diego in 1974. Since that time, he has been at Laval University as a postdoctoral researcher, Professor and Director of the Department of Anatomy. He is currently Full Professor in the Department of Molecular Medicine. He has published over 250 scientific articles on hereditary diseases. He has worked specifically on myoblast transplantation as a treatment for Duchenne muscular dystrophy. For the last 3 years he also worked on gene correction with the CRISPR/Cas9 technology for Duchenne muscular dystrophy, Friedreich's Ataxia and Alzheimer’s disease. Dr. Maureen Trudeau is a Medical Oncologist, specializing in breast cancer. She is an Affiliate Scientist at the Sunnybrook Research Institute and Professor of Medicine at the University of Toronto. As co-chair of the Breast Cancer Disease Site Group in the Program in Evidence-Based Care of Cancer Care Ontario, Dr. Trudeau is involved in practice guideline development. She has also been involved with the approval for funding of cancer provincially since 2006; and nationally since 2012; as Vice Chair and now Chair for the Expert Review Committee of the Pan Canadian Oncology Drug Review. Dr. Viswanathan is an Affiliate Scientist at the Krembil Research Institute, University Health Network, and an Assistant Professor at the Institute of Biomaterials and Biomedical Engineering, University of Toronto. Her research interest is focused on anti-inflammatory approaches to target osteoarthritis (OA), including using proprietarily-enhanced mesenchymal stromal cells (MSCs), re-programming monocytes/macrophages and using peptide inhibitors. As a translational scientist, Dr. Viswanathan has overseen clinical translation of over 13 cell-based therapies, including as co-Principal Investigator on an MSC trial to treat OA patients, a Canadian first. Dr. Viswanathan co-chairs a Cell Therapy Stakeholder’s Group (CTSG) that has bilateral interactions with Health Canada on shaping policy and guidelines pertaining to cell-and gene-therapies. Dr. Viswanathan provides her expertise to Standard Council of Canada’s Mirror Committee for International Organization for Standardization (ISO TC276) on Analytical Methods and Bioprocessing and to the Standards Coordinating Body (SCB) on cell, gene therapies and tissue engineering. Dr. Viswanathan is a founding member, and team leader of the Manufacturing Committee of a network of Pan-Canadian cell manufacturing facilities called CellCAN. She is the first editor of a recently-published book on “Mesenchymal Stromal Cells: Translational Pathways towards Clinical Adoption”. Dr. Wang received her PhD degree in biomedical sciences with a focus on microbiology and virology from Mount Sinai School of Medicine in 2002. Her graduate studies focused on elucidating innate immune defense mechanisms during host and viral interaction in Dr. Adolfo García-Sastre’s laboratory. She found that the non-structure protein 1 (NS1) of influenza A and B viruses, and the Ebola virus VP35 protein inhibit NF-kB activation and IFN expression and demonstrated the role of these proteins as important viral virulent factors. She subsequently joined Dr. Peter Cresswell’s laboratory in the Department of Immunobiology at Yale University School of Medicine initially working as an HHMI fellow and then as the Cancer Research Institute postdoctoral associate. Her studies during her postdoctoral training focused on interferon inducible protein Viperin and demonstrated that Viperin inhibits influenza viral budding and release by changing lipid raft microdomains. She also generated transgenic and knockout animal models to facilitate the in vivo studies. Dr. Wang joined the Michael G. Harris Cell Therapy and Cell Engineering Core Facility led by Dr. Isabelle Rivière at Memorial Sloan Kettering Cancer Center in 2007. Dr. Wang currently serves as the Assistant Director and has overseen the successful manufacturing of more than 150 clinical cell products for phase I/II clinical trials. She maintains close contact with the office of clinical research at MSK, PIs and collaborators, for all the research and clinical studies, ensuring smooth daily operations. Dr. Wang also supervises the large-scale clinical-grade retroviral production, and the process development. She and her team have established the new large-scale clinical-grade retroviral production platform using a fixed bed bioreactor. She is a member of the translational science and product development committee in the American Society of Gene and Cell Therapy (ASGCT), and a participant in the workshop of National Cell Manufacturing Consortium (GRA & Georgia Tech, NIST AMTec). Philip Welford has been the Executive Director of the Stem Cell Network since November 2013. Prior to joining the Network, he was Vice President of Strategic Partnerships at JDRF Canada, a position he held for two and a half years. Previously, Philip has served as Chief of Staff in federal government agencies. Including Chief of Staff to the Minister of State for Science and Technology, the Minister of State for the Federal Economic Development Agency for Southern Ontario, and the Director of Parliamentary Affairs for Research and Pharmaceutical development, the industry association representing pharmaceutical researchers in Canada. Originally from England, Philip moved to Canada in 2004. In his home country, he was an entrepreneur in the fields of agriculture and retail. He is recognized for his excellent leadership, his expertise in optimizing business practices and his passion for employee development and corporate social responsibility.